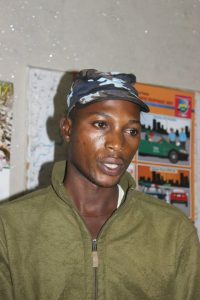 The Rivers State Police Command has nabbed a fake police officer in Port Harcourt. 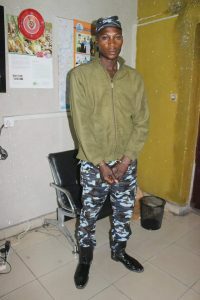 Spokesman of the Command, Nnamdi Omoni in a statement obtained by DAILY POST, said the impersonator identified as Benjamin Tanko was arrested in Eleme area of the State. “The Rivers State Police Command in her continued determination and relentless efforts in fighting all criminal elements in the State, on 13/9/17 at about 0945 hrs arrested a fake Police Sergeant, Mr Benjamin Tanko an indigene of Kajuru in Kajuru LGA of Kaduna State. 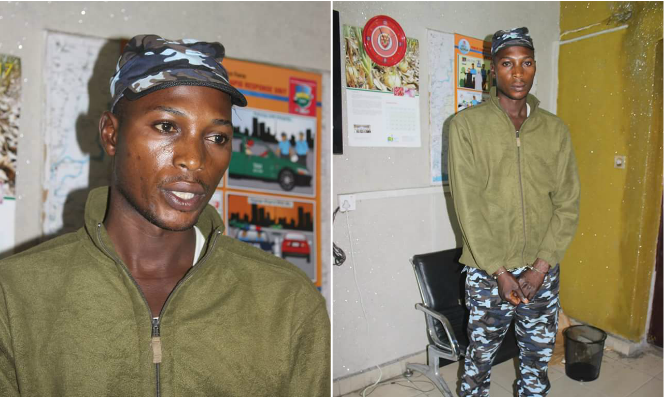 “He was arrested in a Police Camouflage at the Oil Mill Motor Park by Men of the CP Monitoring Unit led by the officer in-charge, Sp Grace Wonwu. “The suspect who claimed to be an Assistant Superintendent of Police attached to the Port Harcourt Area Command is helping the Police in Investigation and will be arraigned as soon as investigation is over. “Items found on him include; three different Police I.D cards with different force numbers. “The CP wishes to appeal to the public to continue to support the Police with useful information,” the statement read.